Ecuador is a land of unrecognized ancient structures and archaeological sites. I have seen for myself that there are many mounds scattered about the country that seem to be unrecognized for what they are. Perhaps I am so good at noticing these constructions because of the fact I grew up in an area with Neolithic burial mounds, the South West of England. Most of these mounds are to the East of us towards the Amazonic region, from Pillaro off towards Tena. There is one major exception however. 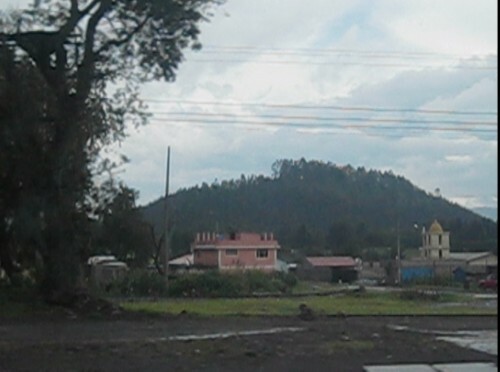 I have noticed on our journeys to and from Quito, North of us, that there are a scattering of these mounds. One in particular really grabs my interest, because it is just so huge. The mound has a pretty smooth curve to it though forest makes it look a little uneven depending on the angle of view you have. It also seems fairly circular, though not perfectly so. I have collated a few images that may be of help in analyzing this compelling anomaly. Here is an image taken from Google Maps that shows the mound from one side at ground level. 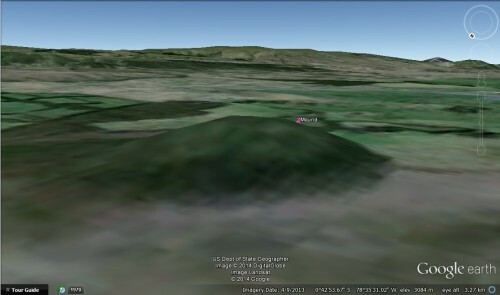 Using the altitude feature I was able to calculate that the top is about 80 meters above the surrounding terrain. There is no other ‘hill’ or raised area for several miles around it. Not far from this site is the start of the Cotopaxi national park and wilderness, this would have been part of a pretty remote and uninhibited area in the not distant past, now a major highway runs past the mound. 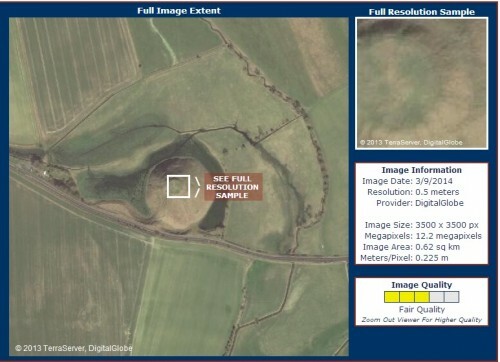 Seen from above the mound, shown here in the left hand side of the image, is notable round. 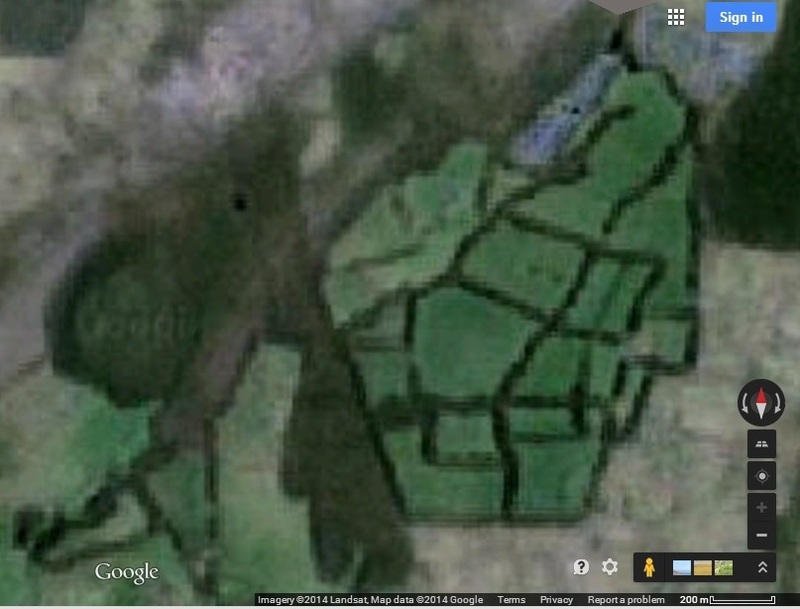 We can see that some kind of land feature encroaches against one side and seem to have ‘flattened’ it somewhat. I can only assume this is a raised area of land, thus meant the builders had to allow for it. This is on the side not visible from the road. Now for those folks still wondering if I am not just seeing things here is the real evidence of artificiality. 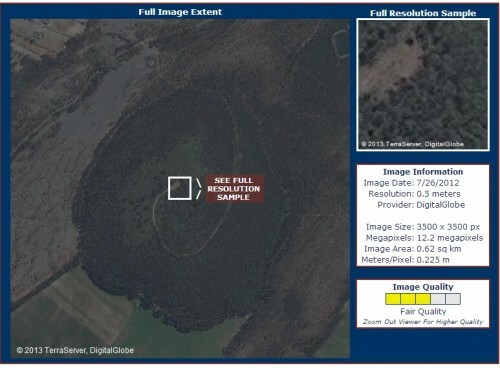 When I finally found a reasonably high-res satellite image of the mound it showed that there was in fact what appears to be an ancient pathway spiraling up from the base to the top. Interestingly this has been made to be really quite steep, there seems no obvious reason why the path would not have spiraled gently around and around the mound to the top. Could it be that the geometry of this feature was important for some spiritual reason? It would be interesting to know whatever it had a sacred ratio involved. What we can see is that there remains a clearing at the Apex. I suspect it would have been a ceremonial place – for what ceremony exactly is a mystery. 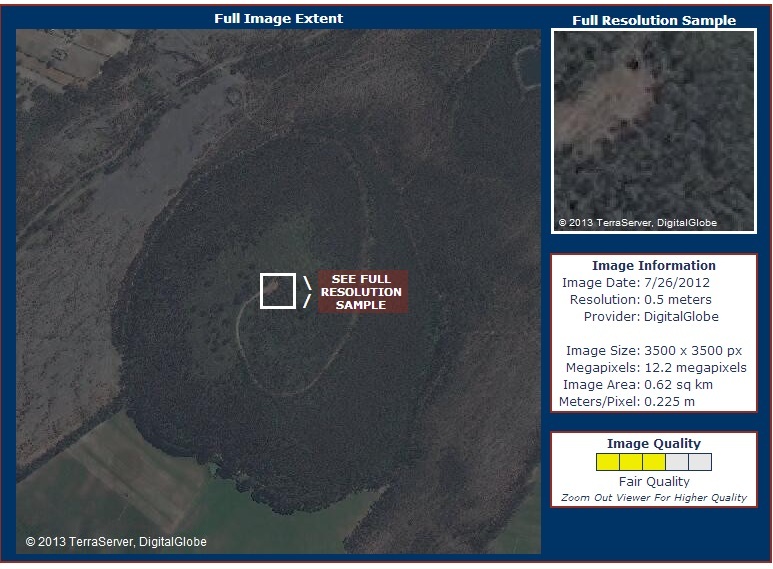 From this image you will note the immense size of this mound. It is around 400 meters in diameter and as said earlier it rises about 80 meters from the ground. This must have been an incredible engineering project for the ancient builders, involving digging and moving thousands of tons of soil. Just for a quick highly relevant comparison here is a satellite image of the largest mound in Europe, Silbury Hill located in South West England. This is taken from the same height and covering the same size area of terrain. I have climbed Silbury hill and consider it to be a pretty tough ascent, though in fairness I went strait up rather than using the ancient spiraling pathway. It is a very big mound and seeing dwarfed here by the Ecuador mound makes my mind boggle when considering the challenge of constructing this. Why would they make this? What might be hidden inside? Lastly when debating artificiality of a landscape feature I think it is always sensible to look for additional signs of ancient landscaping or artificiality in the surrounds. In this instance I found what appears to be a lake, but one with a almost perfect rectangular shape to it as seen from above. This is just around 100 meters from the mound. It would be interesting to explore the depths to see if any sacrificial objects might be at the bottom. Of course now what is needed is on site investigation. This is something I am hoping to carry out in the next couple of months. This seems to be the largest mound in the Americas, to the best of my knowledge. Any experts or researchers interested in commenting or assisting with this are more than welcome to contact me. I am ecuadorian and living in Europe. I usually read news about my country, historical in different matters that also ecuadorians dont know either the world. Would be so nice that scientists all over the world programm to go to Ecuador to investigate and I am sure the people of my country will thank you and probably the rest of the world also. This theme about the giants and the metal tables that an italian religious man had in my country in the same zone and that were stolen and nobody says nothing or someone wants everybody forgets about it. But I think the truth can not be covered with a finger. this must be known by all the people. Please write me when you have news about this theme. Thanks and sorry for my english. My first field trip was Oaxaca, mx in1964-5 sponsored by Nat`. Science Foundation…I dropped out of academic career trac when I returned to the states and did non-profit start-ups during ensuing years, still researching underlying forbidden origins. 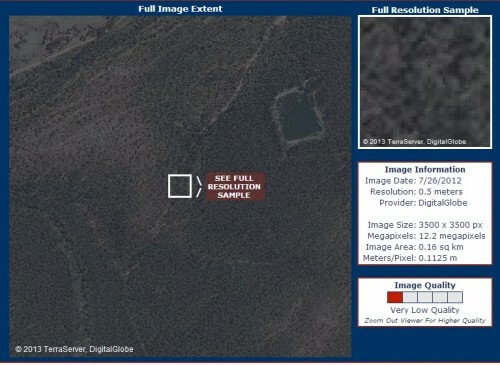 EarthBank, Inc. and dot org never caught on and at age 72 I’m still somewhat active and maintaining contacts plus experience doing 501(c)3s and limited fund-raising in Florida et al……possibly I can do some “assisting” given guidance and some directions from your group. I was guided to your sites following a look at progress in the Atalhuapa drama. Where i live outside of Vilcabamba, there is the story of a caravan of llamas and handlers grouping of 99 who stashed treasure, then committed suicide except for one woman who survived to tell the site of her groups stash (one of four stashes), which when recovered was used to build Loja. Anyway, there are local families living on ancient sites and having interest in bringing ancient origins discoveries to the Surface in the full meaning of that Word.